Hello people of the internet!!! On today’s ‘YouTube Wednesday’ we’re going to discuss an AMAZING new video that will definitely get you in the Halloween spirit! Now I know that we usually discuss channels, not individual videos, but there is so much to discuss with this video that it needs its’ own blog post. If you haven’t seen the ‘Slashstreet Boys -I’ll Kill You That Way’ video by the channel ‘The Merkins’ then be prepared to have your mind blown! I will throw in a quick disclaimer that there is some profanity in this video that may not be appropriate for all ages so please proceed with caution. Ready? Ok, let’s go!!! So you may be asking, “What’s the deal with this video?”. Well if you love The Backstreet Boys and/or famous Halloween villains Freddy Krueger, Jason Voorhees, Ghostface, Michael Myers, & Leatherface then this is the video you’ve been waiting your whole life for! In this video the guys do an amazing job of changing the lyrics of ‘I Want It That Way’ by The Backstreet Boys into a really funny Halloween themed version that uses lyrics that relate to each of these character’s individual movies. These lyrics provide the perfect Easter eggs (aka hints for those who don’t speak internet) for horror film fans. Also, even though not all of the actors in the video sing, the guys who provided the vocals for this parody have really good voices. I honestly would love to see covers from these guys because their vocals are just that good! Lastly, I wanted to discuss the meticulous details that this parody video contains. If you are a Backstreet Boys fan then you remember that epic ‘I Want It That Way’ video. I mean we have the airport scenes, the screaming fan scenes, & of course those famous white outfits. Unforgettable right? Well ‘I’ll Kill You That Way’ does an impeccable job of mimicking these scenes as close as possible. 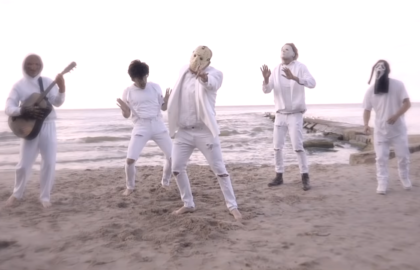 In the parody video we get very similar dance moves (only this time split between a airport & the woods), the screaming fans who love our villains, & of course those famous white outfits. If you’re a Backstreet Boys fan then you’ll definitely appreciate the effort put into this video. All photos and information used in this blog belong to YouTube, Instagram, The Merkins, Backstreet Boys, Jive Records, Sony Music Entertainment, Andreas Carlsson, Max Martin, Kritian Lundin, and all companies, individuals, corporations, managers, writers, producers, authors, publishers, and/or businesses that should receive credit for any book(s), mentioned in this blog post, all of the and all companies, individuals, corporations, managers, writers, producers, and/or businesses that should receive credit for anything mentioned in this blog post, and all original owners. I do not own anything in this blog. If any people, corporations, businesses, companies, etc, were not previously given credit for their work, they are given credit now and their previous absence was unintentional. All opinions expressed in this blog are my own. I wrote this blog for entertainment purposes and no copyright infringement is intended. celindareyesblog October 25, 2018 No Comments on YouTube Wednesday: ‘I’ll Kill You That Way’ the Halloween themed parody for all the Backstreet Boys superfans out there. Category: YouTube Wednesday. Tagged: 2018, Andreas Carlsson, backstreet boys, halloween, instagram, Jive Records, Kritian Lundin, Max Martin, music, new, parody, pop, Sony Music Entertainment, The Merkins, youtube. Hello people of the internet!!! On today’s ‘YouTube Wednesday we are going to discuss an INCREDIBLE new band that you will all be completely addicted to. If you’ve never heard of Anthem Lights then you NEED to keep reading because this amazing bands and covers will instantly hook you from the first note. This band has the amazing ability to cover a wide variety of songs from different genres, and still make each cover sound unique, but also keeps the original vibe that originally made the song a hit. Anthem Lights is a Christian pop/rock band that currently has 379,301 subscribers and over 64 million total channel views on YouTube, and over 72,000 Twitter followers, so if you don’t want to miss out on the music industry’s next big thing then keep reading to learn all about this band’s awesome music. Ready? Ok, let’s go!!! The first video that we’re going to talk about is Anthem Lights’ cover of ‘This I Promise You’ by ‘NSYNC, which was uploaded on February 5th, 2013. I thought that this was an awesome cover to kick things off with because it allows each of the guys in the band to show off their amazing vocal skills. This cover is also a good example of this band’s phenomenal ability to take a song that we love, add the special Anthem Lights touch, and make the song feel like your listening to it for the first time. Next up we have Anthem Lights’ mash-up of the ‘2014 K-Love Fan Awards: Songs of the Year’ nominees, which was uploaded on March 11th, 2014 (you can check out below). This video is so incredible that you’re going to definitely replay it over and over. In this cover, Anthem lights takes multiple Contemporary Christian hits from the 2014 voting year, and combines all of the songs to create a memorable, entertaining video that fans will love (they have also released a 2015 edition so I would check that out too). Now we’re going to talk about Anthem Lights cover of ‘Drops of Jupiter’ by Train, which was uploaded on March 11th, 2014. This can be a really difficult cover for an artist to pull off because it’s a very popular song, and is still a favorite among Train’s fan base. Once again Anthem Lights does an incredible job of making this song their own without changing what we originally loved about the song. Their vocals of this cover are so perfect that they instantly captivate you, and leave you mesmerized from beginning to end. 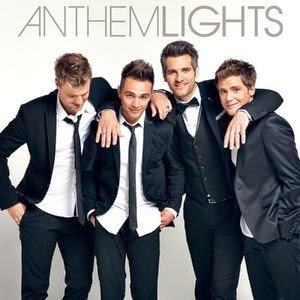 The last video that we’re going to talk about is one of Anthem Lights’ original songs. It was extremely hard for me to pick just 3 covers to talk about (because all of their covers are amazing), so it was even more difficult to pick just 1 original song to write about I decided to pick a track off of their 2014 album ‘Escape’. Although I really loved all of the songs off of the album, I decided to go with the song ‘Top of the World’, because it’s a fun, energetic song that’s perfect to blast in the car. This song is a MUST HAVE on all of your playlists! The music video for this song was uploaded on YouTube on October 6th, 2014, and is just as fun and zany as the song itself (you can check out the video below). This video will definitely keep you entertained, and anxiously waiting to see what Anthem Lights releases next. All credit goes to Anthem Lights, anthemlights.com, Twitter, Instagram, Facebook, iTunes, ‘NSYNC, Train, Richard Marx, Jive Records, Sony Music Entertainment, RCA Records, RCA Music Group, Columbia Records, Patrick Monahan, Brendan O’Brien, Matthew West, Sparrow Records, Universal Music Group, Capitol Christian Music Group, Peter Kipley, Phil Wickham, Fair Trade Services, Sony Music, Josh Farro, Jeremy Riddle, Pete Kipley, Mandia, Christopher Stevens, Ben Glover, David Garcia, Big Daddy Weave, Fervent Records, Warner music Group, Benji Cowart, Essential Records, Provident Label Group, Daniel Carson, Matt Maher, Christy Nockels, Jesse Reeves, Kristian Stanfill, K-Love Awards, easttennessean.com, all of the businesses, companies, people, and any other original owners involved and/or mentioned in any of these videos and/or hauls, any and all companies, individuals, and/or businesses that should receive credit for anything mentioned in this blog post, and all original owners. I do not own anything in this blog. If any people, corporations, businesses, companies, etc, were not previously given credit for their work, they are given credit now and their previous absence was unintentional. All opinions expressed in this blog are my own. I wrote this blog for entertainment purposes and no copyright infringement is intended. celindareyesblog September 30, 2015 No Comments on YouTube Wednesday: Get ready to meet your newest musical obsession Anthem Lights. Category: YouTube Wednesday. Tagged: *NSYNC, 2013, 2014, 2015, 2016, amazing, Anthem Lights, anthemlights.com, Ben Glover, Benji Cowart, Big Daddy Weave, Brendan O'Brien, Capitol Christian Music Group, christian, Christopher Stevens, Christy Nockels, Columbia Records, contemporary, Daniel Carson, David Garcia, easttennessean.com, Essential Records, facebook, Fair Trade Services, Fervent Records, instagram, itunes, Jeremy Riddle, Jesse Reeves, Jive Records, Josh Farro, K-Love Awards, Kristian Stanfill, Mandia, Matt Maher, matthew west, music, new, Patrick Monahan, Pete Kipley, Peter Kipley, Phil Wickham, Provident Label Group, RCA Music Group, RCA records, Richard Marx, Sony Music, Sony Music Entertainment, Sparrow Records, Train, twitter, universal music group, warner music group, youtuber. Hello people of the Internet!!! 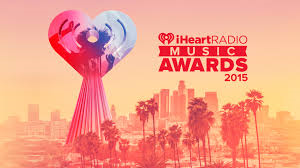 On today’s ‘Monday Memos’ we are going to recap the 2015 ‘iHeart Radio Music Awards’! This award show was full of talented winners, unforgettable performances, and a host (Jamie Fox) that definitely kept the audience’s attention. So if y’all are ready, let’s jump into the recap (in order to not keep y’all here reading for an hour, I selected just a few performances to discuss). Honestly we all saw this one coming. With an infectious beat and catchy lyrics, Taylor has had us singing along to this song for months. This is an example of another song that has an inescapable beat, which is exactly what landed it at the top of the charts for weeks after its’ release. Do we really need to explain this one! With each passing year, Justin Timberlake continues to prove to us that he can release tracks that have us singing and dancing along instantly. He is also able to release music that is either completely new, and/or takes what everyone else is doing in a way that we never would have thought possible. Honestly this is the guy who made suit and ties cool again…enough said (below is a video of Justin’s speech that I found on NBC’s YouTube channel)..
With hits like Stay With Me and I’m Not The Only One, we have all been jamming to Sam Smith this past year. You gotta love a guy that can constantly make us cry and still fall more in love with him every time we hear his songs. You heard this song EVERYWHERE last year, and we’re still all singing along. But, when you get three superstars like Jessie J, Ariana Grande, & Nicki Minaj together honestly you can expect no less. We will definitely be dancing to this one throughout 2015. This was the song that made us all wish that summer was a year around thing. Calvin Harris always seems to find a way of releasing songs that we just have to put on repeat. This should definitely be on your upcoming 2015 summer playlist. Ok, again this was a song that we could not (and would not) stop playing because, well it’s just so awesome! This song has a fun beat, unforgettable lyrics, and even an awesome message about, well, shaking all the negative stuff off. Gotta love how Taylor knows exactly what we need to hear. I think we covered why Taylor was so successful in 2014. Now the only question on our minds is how will she top it in 2015? We all know whatever she does, it will be awesome! Iggy Azalea & Jennifer Hudson performed their new song Trouble. The number was very elaborate, and began with Iggy and Jennifer emerging on to the stage, dressed like a prisoner (Iggy) & a cop (Jennifer). Iggy danced around the stage with her background dancers, until they eventually moved to another set that had pink prison phones, another set that looked like a public bathroom, and a final set that had a giant cage. It was a very fun performance, that was a great way to kick off the show. Meghan Trainor performed her song Dear Future Husband later in the show, and really showed us just how captivating of a performer she is. This cool number began with Meghan on stage dressed in a black long pencil skirt, a coral blouse, and a white and black polka dot sailor hat. The nautical meets 1950s theme continued with Meghan’s large brass band (that played in the background throughout her performance), standing on a leveled band stands, which had neon wave decoration on the front of them. Her backup dancers finished off the fun theme with their black pants, suspenders, and straw hats. The performance was so much fun to watch from beginning to end, and proved just why Meghan’s natural star power has given her such a big year (below is a video of Meghan’s performance that I found on NBC’s YouTube channel). Later on we had a breathtakingly beautiful performance from Best New Artist winner Sam Smith. Sam performed his song Lay Me Down. After all of the previous performances that got us up and dancing, this performance definitely slowed things down without losing our attention. The number had numerous candles all around the stage, and the lighting very dim, which added an intimate, acoustic feel to the performance. Of course Sam blew us away with his hauntingly beautiful voice, and once again proved that he is here to stay. Country Song of The Year winner Jason Aldean performed his award winning song Burnin’ It Down. This was another really fun performance that definitely brought the energy back up, after Sam Smith’s performance. The staging included A LOT of fire pits, which added to the whole country meets rock vibe the song has (below is a video of Jason’s performance that I found on NBC’s YouTube channel). Next up we had a very cool performance from Madonna & Taylor Swift, who performed Madonna’s song Ghosttown. The song began with Madonna singing the song accompanied by a guitarist, while the dim lighting on stage “hid” her guitarist’s identity. The guitarist was later revealed to be Taylor. This was a really interesting number, that was very different than anything else we saw on the show that night. Both artists did a fantastic job (which isn’t surprising), and this was definitely a performance everyone on the Internet will continue to talk about for a while. Of course we couldn’t end this recap without talking about the last number of the night (which was performed by the host of the show Jamie Foxx). The two performed Jamie’s new single ‘You Changed Me’, which began with Jamie performing the song on the piano with dim stage lighting, before the beat picked up, and the stage lit up. The song was very well choreographed, and showed off both artists’ performance skills. This high energy performance was the perfect way to end the night, and definitely got the audience excited for Jamie’s upcoming album, which drops later this year (below is a video of Jamie & Chris’ performance that I found on NBC’s YouTube channel). All credit goes to iHeart Radio Awards, iHeart Radio, NBC, Taylor Swift, Big Machine Records, Republic Records, Max Martin, Shellbacks, Jeremih, YG, Def Jam Records, MIchael Munzing, Luca Anzilotti, Thea Austin, Jeremih Felton, Mick Schultz, Benito Benitez, Keenon Jackson, Dijon McFarlane, JIve Records, Zomba Group of Companies, RCA Records, Capitol Records, Jason Aldean, Broken Bow Records, Rodney Clawson, Chris Tompkins, Tyler Hubbard, Brian Kelley, Michael Knox, DJ Mustard, 5 Seconds of SUmmer, Capitol Records, Jessie J, Ariana Grande, Nicki Minaj, Lava Records, Savan Kotecha, Rickard Goransson, Onika Maraj, llya, School Boy Records, Young Money Records, Cash Money Records, Average Joes Entertainment, The Valory Co., Calvin Harris, Deconstruction Records, Fly Eye Records, Columbia Records, Hozier, Rubyworks Records, Universal-Island Records, Andrew Hozier-Byrne, Rob Kirwan, Iggy Azalea, Def Jam Records, Grand Hustle Records, Mercury Records, Virgin EMI Records, Arista Records, J Records, RCA Records, Epic Records, Kevin Kadish, Sire Records, Warner Bros., Records, Maverick Records, Live Nation Entertainment, Interscope Records, Jason Evigan, Sean Douglas, thatgrapejuice.net, Evan Bogart, 20th Century Fox Records, all companies, individuals, corporations, managers, record labels, writers, producers, and/or businesses that should receive credit for anything mentioned in this blog post and/or are mentioned in any of the videos mentioned in this blog post, and all original owners. I do not own anything in this blog. If any people, corporations, businesses, companies, etc, were not previously given credit for their work, they are given credit now and their previous absence was unintentional. All opinions expressed in this blog are my own. I wrote this blog for entertainment purposes and no copyright infringement is intended. 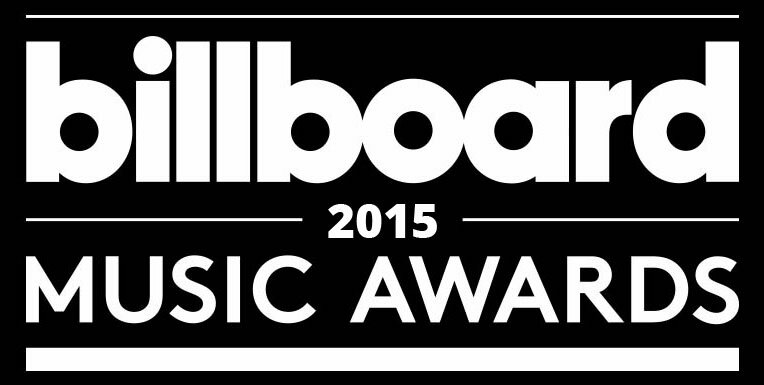 celindareyesblog March 31, 2015 1 Comment on Monday Memos: 2015 iHeart Radio Music Awards. Category: Monday Memos. Tagged: 20th Century Fox Records, 5 seconds of summer, Andrew Hozier-Byrne, ariana grande, Arista Records, Average Joes Entertainment, award, Benito Benitez, Big Machine Records, Brian Kelley, Broken Bow Records, Calvin Harris, Capitol Records, Cash Money Records, Chris Tompkins, Columbia Records, Deconstruction Records, Def Jam Records, Dijon McFarlane, DJ Mustard, Epic Records, Evan Bogart, Fly Eye Records, Grand Hustle Records, Hozier, Iggy Azalea, iHeart Radio, iHeart Radio Awards, Interscope Records, J records, jason aldean, Jason Evigan, Jeremih, Jeremih Felton, jessie j, Jive Records, Keenon Jackson, Kevin Kadish, Lava Records, Live Nation Entertainment, llya, Luca Anzilotti, Maverick Records, Max Martin, Mercury Records, Michael Knox, MIchael Munzing, Mick Schultz, music, nbc, new, nicki minaj, Onika Maraj, RCA records, records, republic records, Rickard Göransson, Rob Kirwan, Rodney Clawson, Rubyworks Records, Savan Kotecha, School Boy Records, Sean Douglas, Shellbacks, show, Sire Records, taylor swift, The Valory Co., Thea Austin, Tyler Hubbard, Universal-Island Records, Virgin EMI Records, Warner Bros., YG, Young Money Records, Zomba Group of Companies. Hello people of the internet!!! On today’s ‘YouTube Wednesday’, we are going to discuss a rising boy band that you will all fangirl and fanboy over! If you love bands such as: ‘One Direction’, ‘5 Seconds of Summer’, and ‘The Vamps’, then you’ll love ‘The Boy Band Project’! This group of young vocalists has everything I takes to become a successful group: talent, drive, and the unwavering love of their fans. Once I saw their videos, I as instantly addicted, and have been watching all of their INCREDIBLE covers on repeat (and you will too once you see them). If you’re not already a fan of this rising band, then you HAVE to check out the rest of this blog post, so when you’re friends all become obsessed with ‘The Boy Band Project’ (and trust me they will) then you will already know all about everyone’s latest YouTube obsession. The first cover that we are going to discuss is their cover of ‘Give Me Love’ by Ed Sheeran, which was uploaded on July 24th, 2014 (here’s a link to the video ). I thought that this was an AMAZING first cover for the band, because it’s a song that really gives them an opportunity to show off their vocal skills. This is a difficult song for anyone to sing, because Ed Sheeran is an amazing vocalist who sets a very high bar with this song. I was really happy to see that ‘The Boy Band Project’ was able to rise to the challenge, and make a really awesome cover. This is one of my favorite Ed Sheeran songs, so I’ve heard A LOT of covers of this song, and honestly none of them were as good as this cover. I was so impressed and y’all will be too. Next up we have the band’s cover of ‘I’ll Never Break Your Heart’ by the Backstreet Boys, which was uploaded on September 11th, 2014 (link to the video is here: ). I was really excited to hear this cover because I am a huge ‘Backstreet Boys’ fan (you know you are too!). This is another difficult song to sing (gotta love a band that isn’t afraid of a challenge), and they decided to make it every more challenging by singing the song A Capella. Honestly singing is heard enough because everyone has to make sure their harmonies are as close to perfect as possible, and of one person is slightly off then the whole group sounds bad, then when you add the difficulty of having your pure vocals in the spotlight, without any music to help or mask imperfections…well you can see where how this could be difficult. However, the band proves that it really can handle any song and circumstance, by doing an AMAZING cover of this song that I’ve listened to over and over again (it’s just so incredible! ).This is definitely the perfect video to prove to everyone that this band is a group of legitimately talented vocalists, and not just a band of pretty faces (even though they have that going for them too). Ok the final cover that we are going to talk about is the band’s rendition of One Direction’s song ‘Steal My Girl’, which was uploaded November 28th, 2014 ( the video link is here ). This was a really cool cover because it felt more like a music video than a regular cover. You saw clips of the band recording, performing, and having fun with the camera. It was really fun to see the guys’ personalities shine through, and makes you fall even more in love with them. You also got to see that their fans love them, and that they definitely share the love right back! Didn’t I tell y’all that they we’re AMAZING!!! Ok, go on and admit it, you are completely addicted right? I knew it! With such a bright future, I am so excited to see where this band’s career will lead them. So many bands and artists have started on YouTube, and have gone on to have highly successful careers (and we have all fangirled and fanboyed over every single one of them), so I’m excited to see this band break out onto mainstream music as well. What I really love about this band, is that they are fully rounded entertainers, that have very cool and unique vocal abilities, that will sway even the harshiest music critic. So make sure that you all support them on all of their social media sites, support their covers, and look out for their upcoming original music ( which they have said they are currently recording…try to control the feels!). All photos and information used in this blog belong to YouTube, Twitter, Instagram, Facebook, SoundCloud, The Boy Band Project, Ed Sheeran, Backstreet Boys, One Direction, Syco Records, Warner Music Group, Jake Gosling, Chris Leonard, Jive Records, Eugene Wilde, Albert Manno, Columbia Records, Wayme Hector, John Ryan, Julian Bunetta, Ed Drewett, Louis Tomlinson, Liam Payne, soundmatters, and all other original owners. I do not own anything in this blog. If any people, corporations, businesses, companies, etc, were not previously given credit for their work, they are given credit now and their previous absence was unintentional. All opinions expressed in this blog are my own. I wrote this blog for entertainment purposes and no copyright infringement is intended. celindareyesblog December 4, 2014 No Comments on YouTube Wednesday: The Boy Band Project…the newest band that you will be fangirling/fanboying over. Category: YouTube Wednesday. Tagged: Albert Manno, backstreet boys, boyband, Chris Leonard, Columbia Records, Ed Drewett, ed sheeran, Eugene Wilde, facebook, instagram, Jake Gosling, Jive Records, John Ryan, Julian Bunetta, Liam Payne, Louis Tomlinson, music, one direction, pop, soundcloud, soundmatters, Syco Records, The Boy Band Project, twitter, warner music group, Wayme Hector, youtube.